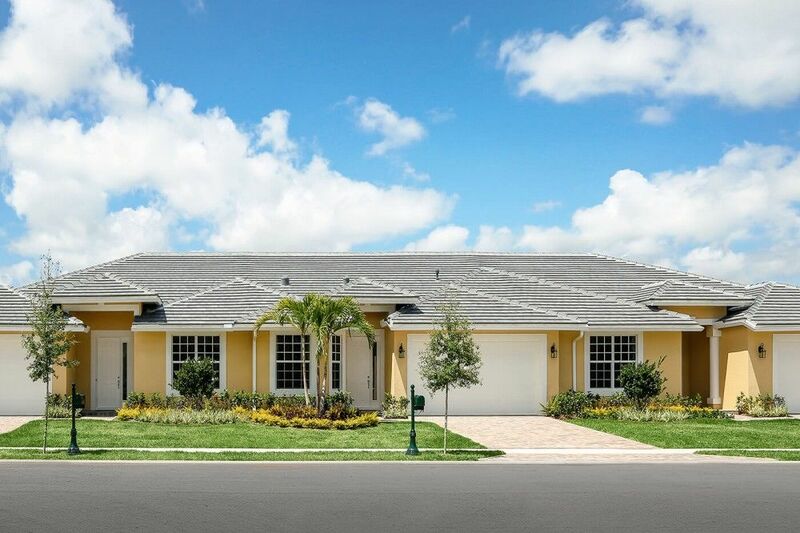 New-construction villa homes for sale in Port St. Lucie, Florida. St. Andrews Villa Homes is now selling phase 3 and has limited move-in ready new homes for sale. Built by Tiffany Homes, these exquisite, single-story, 2- and 3-bedroom villas feature water or preserve views and a maintenance-free lifestyle. St. Andrews Park Villas is a gated community with low HOA fees that include home lawn care and much more. Our homes come standard with impact-resistant glass windows and sliding doors, R-30 fiberglass ceiling insulation, high-quality finishes, granite countertops and customizable upgrades. Contact us to schedule a site visit today! Tradition Field – home of the St. Lucie Mets – is just 15 minutes away! The St. Andrews Plaza Shops are within walking distance and golf cart accessible! Including, Publix Super Market at St. Andrews, Walgreens, McDonalds, Subway, Hair Cuttery, Home Plate Liquors, UPS Store, H&R Block, China Star, PSL Nails, and Grazie!